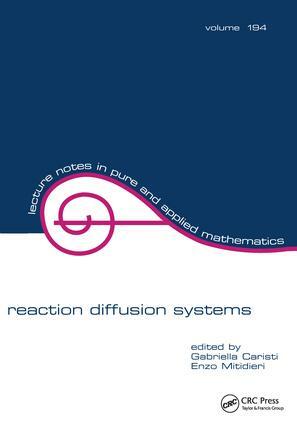 "Based on the proceedings of the International Conference on Reaction Diffusion Systems held recently at the University of Trieste, Italy. Presents new research papers and state-of-the-art surveys on the theory of elliptic, parabolic, and hyperbolic problems, and their related applications. Furnishes incisive contribution by over 40 mathematicians representing renowned institutions in North and South America, Europe, and the Middle East."